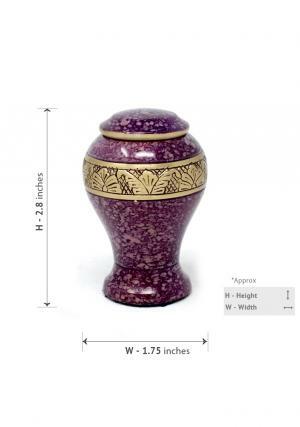 Classic engraved brass mini memorial keepsake urn is brass metal finish enclosed with bands of leaf decorated brass urn. 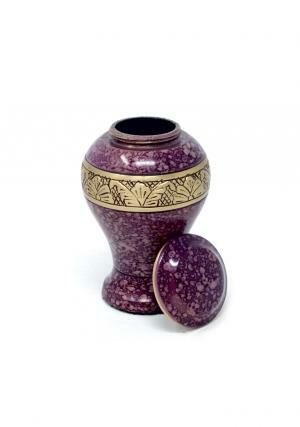 The urn is brushed beautifully from skilled professionals with their presentation towards art of engraving the brass leaf band around the mini cremation keepsake urn. 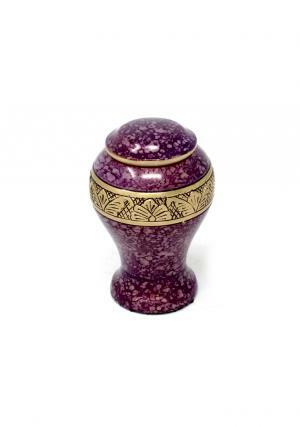 The modern lid is affixed to the urn using screw threads, for safe and convenient transport and storage. 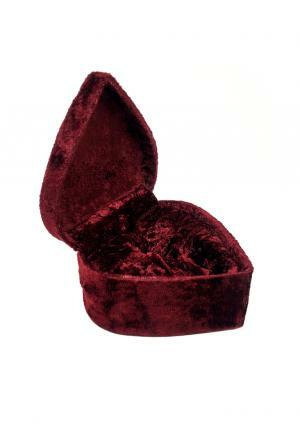 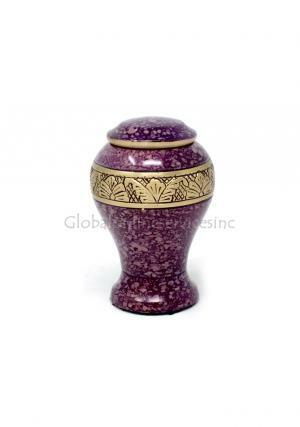 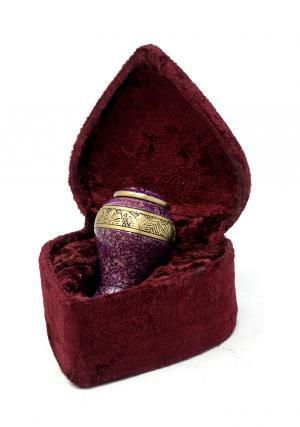 Small keepsake funeral urn is measured to preserve token amount of ashes of the loved one after cremation as a last gift of remembrance from the demise.